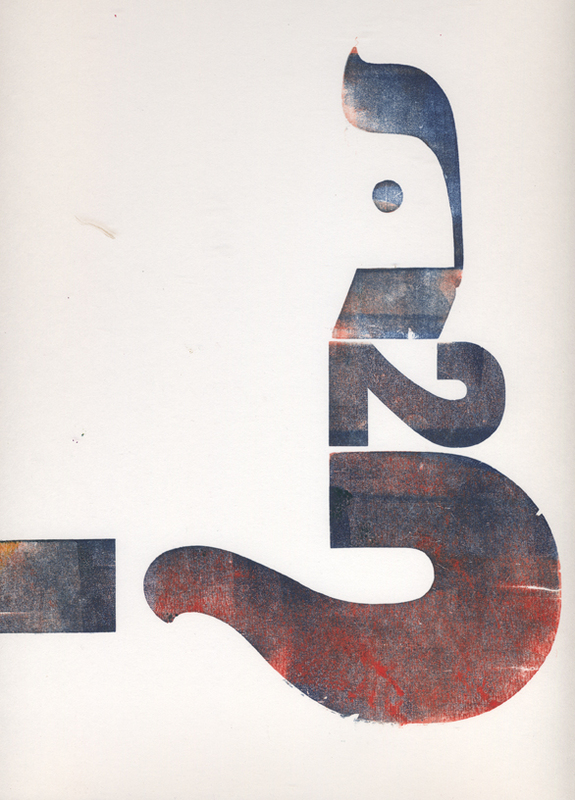 Wood Type Composition no. 1: Nun, Two & Question Mark (2010). This was composed and printed during the Type Americana conference in Seattle.